It’s great to have a wheelchair which is easy to load into the car’s trunk and to take to any place that you plan to visit, be it your dentist’s office or a major attraction in the nearby city. The question is which model can give you this kind of convenience plus great comfort and impeccable performance. Check out my list of the best wheelchairs for travel based on rich experience and research. Read the reviews to help you make the right decision. This brand is known for making some of the lightest electric wheelchairs and the DX12 model doesn’t disappoint. It weighs merely 64 pounds with the battery thanks to its incredibly light yet super sturdy construction. At the same time, it can support a user weighing as much as 330 pounds. This combination of small weight and large capacity make it one of the best wheelchairs for travel ever designed. Cushioned seat – It’s very comfortable. I appreciate its breathability too. The cover can be removed for washing. Reclining backrest – You can adjust it at any of the five different positions to get the perfect back support. Flip-up armrests – I like their ergonomics, but I just wish the padding were softer. Fabric basket and rear pocket – Depending on the user’s level of mobility, both could be quite easy to reach and use. Needless to say, they are particularly useful to caregivers. 12-inch drive wheels – Their size is impressive and so are their tires. You can be confident that they behave flawlessly on virtually any terrain. The motor is dependable and so is the transmission. The drive wheels always get the required amount of power. Steering is easy thanks to the optimal responsiveness of the controller. The travel range of EZ Lite Cruiser DX12 is 10 miles, but it can reach 20 miles if you add an extra battery, which is available separately. 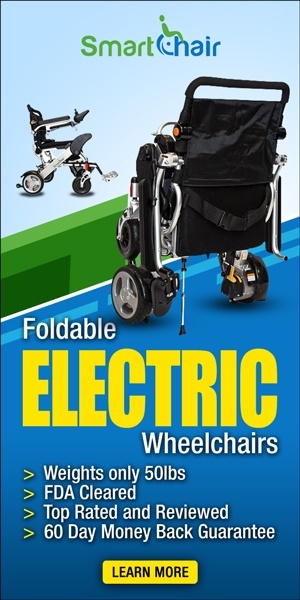 In general, the lithium-ion battery coming with this wheelchair is particularly long-lasting. This is what the best wheelchairs for travel have to offer. EZ Lite Cruiser DX12 could be the ideal option for those who want to travel light. The small weight is combined with great comfort and smooth operation – exactly what you can expect from the best wheelchairs for travel. 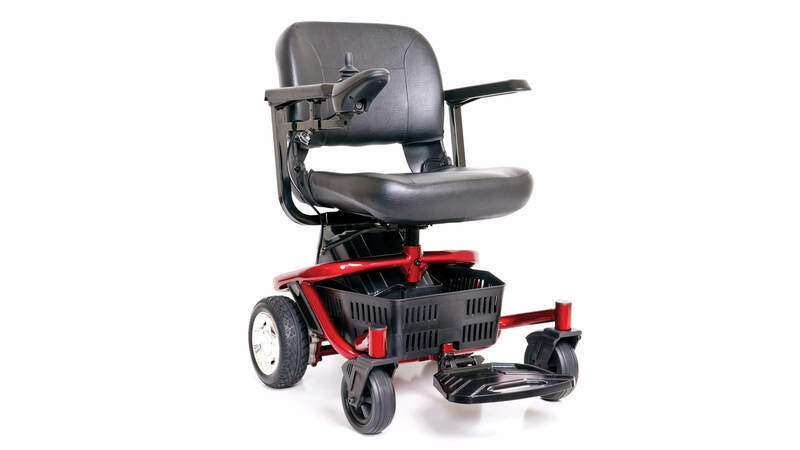 If you are looking for a wheelchair which is both compact and very comfortable, you should consider this cleverly designed model. It has a capacity of 300 pounds while measuring just 33 by 22.5 inches. You can be confident that it will be able to carry your weight even if you are big like I am. Additionally, you won’t have to worry about it getting a lot of space in your house. Generally, the unit can be easily disassembled into 4 parts, with the heaviest one weighing 35lbs, for convenient storage and transportation. I should also point out how sturdy this one of the best wheelchairs for travel is. Stadium seat, measuring 17 by 16 inches – It’s quite comfortable, in my opinion. I find that the design offers perfect support to the buttocks and lower back without exercising any pressure in return. The padding is just right for my taste. Thanks to the stadium-style, the seat is breathable too. Storage basket – It’s right under the seat, so it’s easy to place groceries and other small items in it, but you should keep in mind that it’s not very large. Rear pockets – They are particularly convenient for caregivers. Footplate that can be folded – I like how convenient it is. The size is fine. 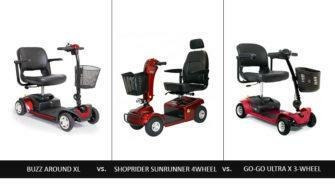 GP162 LiteRider can give you a smooth ride both indoors and outdoors at any time. It has flawlessly working motor and transmission. The small turning radius of 26 inches is a huge advantage when your house doesn’t have an open floorplan and when you have to navigate through the busy sidewalks. The 9-inch drive wheels are sufficiently sturdy to enable this one of the best wheelchairs for travel to perform well on all kinds of terrains. The maximum travel range of this model is particularly impressive – 15.5 miles. 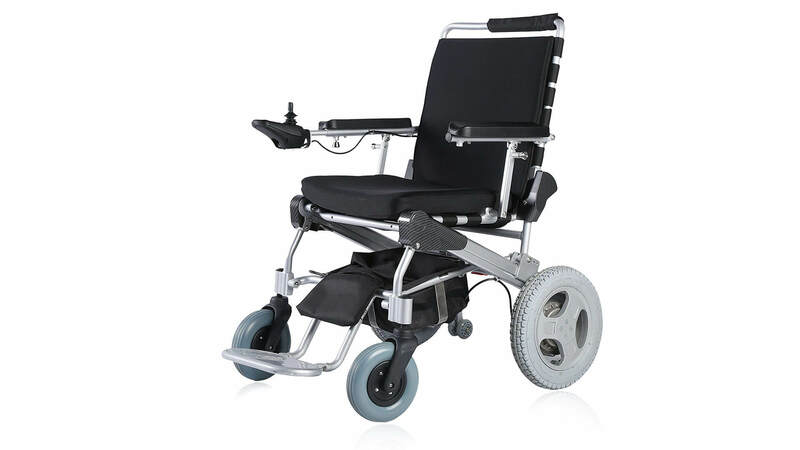 You can gain great independence with this one of the best wheelchairs for travel, as it is capable of giving you a smooth and comfortable ride both indoors and outdoors. It’s comfortable and easy to operate, to store and to transport. This Mobile Care electric wheelchair is among the lightest which you can find on the market right now weighing 72.8 pounds. This is because of the aluminum frame, which is light and very strong at the same time. When it’s time for a trip, your caregiver can fold it effortlessly. It is extremely compact when folded, so it is guaranteed to fit in the car trunk. While it is among the best wheelchairs for travel because of its small weight and compact folding, this model has a lower capacity than most – it’s 220 pounds. You have to take this into account when making a decision. Cushioned seat and backrest – The cushions are firmly attached and quite breathable. I appreciate the extra comfort which they provide. Folding and removable footrests – They are easy to move to the side during mounting and to remove for transportation. Ergonomic armrests – They are designed to give you maximum comfort, which you will enjoy greatly, especially if you decide to operate the wheelchair manually. 18-inch drive wheels – They are large and move smoothly even when the terrain is somewhat rough. You can use a manual or electric clutch for the safest and most pleasant ride on any sort of terrain. The manual brake works excellently, just like the motor and transmission. 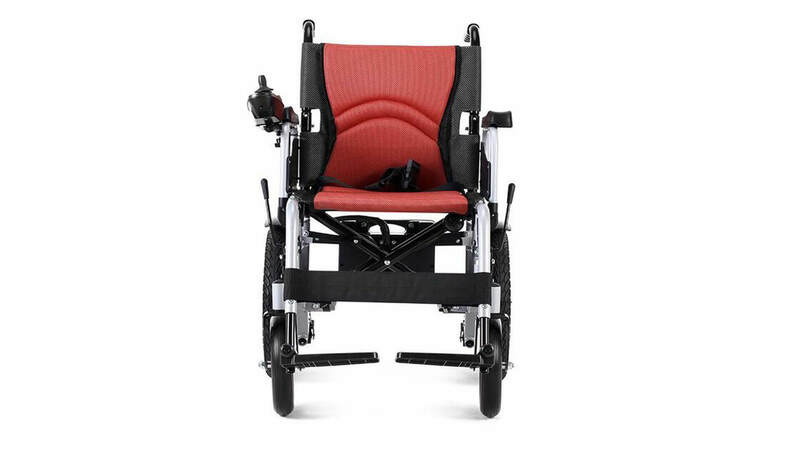 You can expect this MobileCare new wheelchair to turn smoothly around corners, given that its turning radius is just 30 inches. Another number which you will like is the maximum travel range – 12 miles. This is something which you can expect from the best wheelchairs for travel. The footrests don’t have heel loops. There is only a supporting calf band. You can readily opt for this one of the best wheelchairs for travel if you want to have a classic model with modern perks. Which of the Best Wheelchairs for Travel Is Ideal for You? 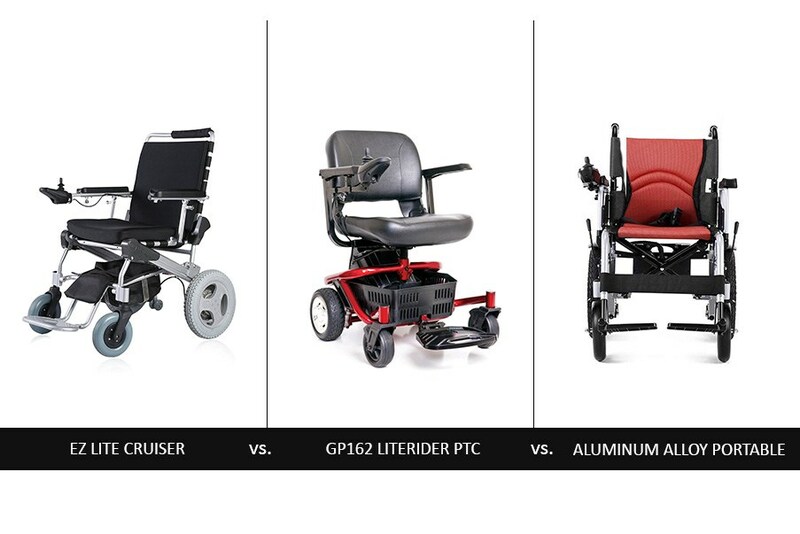 Decide how compact and light you want your wheelchair to be. It makes sense to check the size of your car’s trunk to make the right decision in this regard. Don’t forget to consider how quick and simple the folding or dis-assembly is. 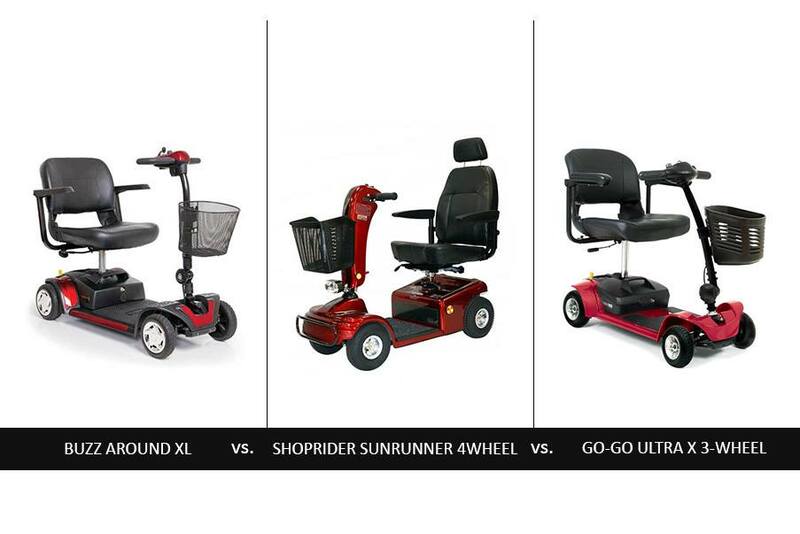 Comfort is essential, given that you will most certainly be using the mobility device for long hours. Check out Amazon for more information and reviews on the best wheelchairs for travel. 4 Which of the Best Wheelchairs for Travel Is Ideal for You? Next Karman XO-202 Self-Propelled Wheelchair Review - Does It Give You High Flexibility?